One of our most colorful tails yet! 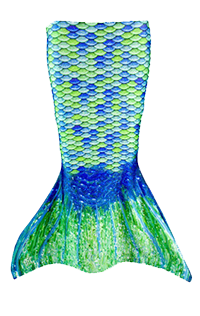 Fin Fun’s Razzle Dazzle Limited Edition Mermaid Tail features brilliantly colored, candy-smooth scales that each contain a textured highlight that shines from within. Perfect hearts and stars are scattered throughout the bright, bubbly scales for extra whimsy and fun. Plus, the multi-colored fluke of the tail includes soft drops of sunshine yellow, aqua, lime, and magenta that flow like the ocean’s waves. 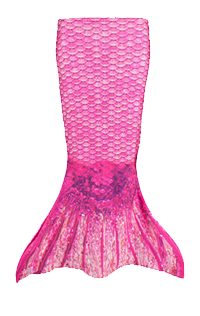 If you’re looking to show off your sweet side, the Razzle Dazzle Limited Edition Mermaid Tail is the perfect confection for any mermaid. 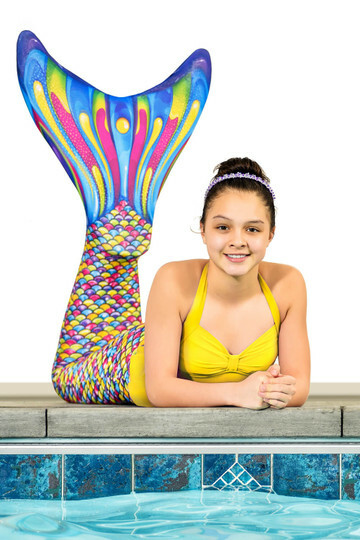 Limited Edition Mermaid Tails from Fin Fun are made from a stretchy, durable swimsuit fabric that is comfortable and helps you glide through the water like a real mermaid. 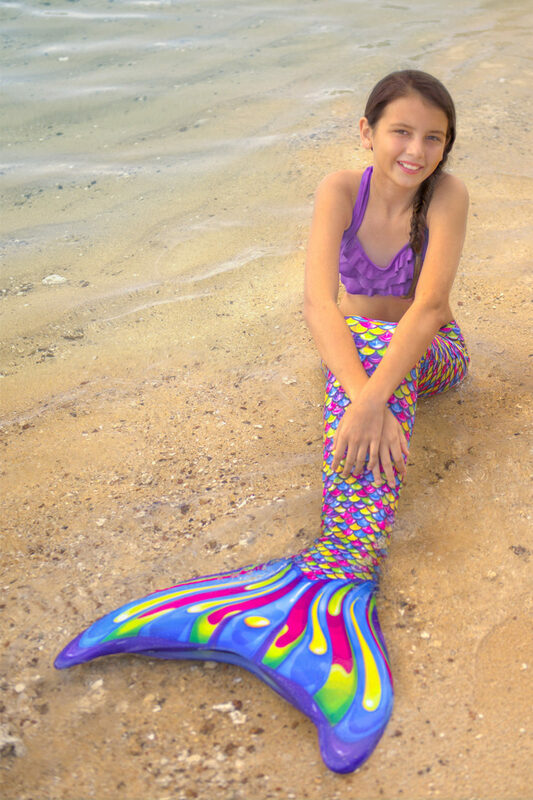 Plus, our Limited Edition Mermaid Tails feature custom fabric finishes that add shine and sparkle to your mermaid tail. When wet, these finishes help replicate the look of real fish scales in the water. 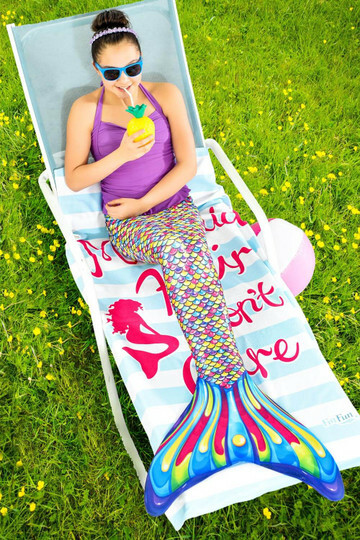 For your convenience, these swimmable mermaid tails are machine washable in cold water. Please avoid hot tubs and other forms of high heat (such as clothing dryers) that can cause your mermaid tail to become less elastic. Lay/hang flat to dry.